Mommy and Me Travels visited the 42nd Japanese Festival held at the Missouri Botanical Gardens in St Louis. This festival has taken place since 1977. 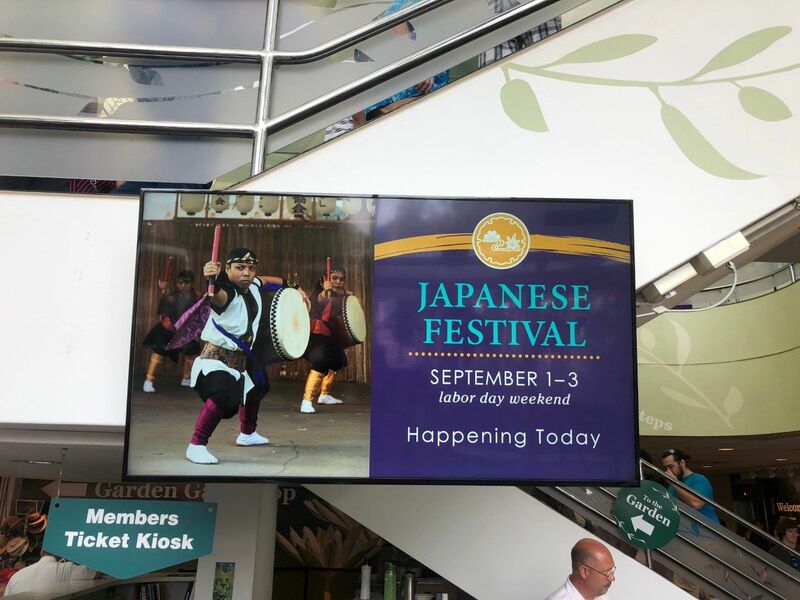 You probably would be hard pressed to find another Japanese festival like it in the U.S.A. Do you and your little ones love to experience new cultures? If so, local festivals are a great way to get the flavor of a culture without having to travel halfway around the world. Japanese Festival is held 1-3 Sep 18. Saturday and Sunday the hours are 10am-8pm, with an added 8pm-10pm for a special candle light walk of the gardens. Monday the hours are 10am-5pm. Entry cost are: Non-members $15 for adults (13 years and up) and $7 for kids (3-12 years old); member rates are $7 for adults and kids free; and festival members receive free adult and kids entry tickets. Get most up-to-date information from the Missouri Botanical Gardens website. Parking can be a bit of a challenge since the event boast that it gets several thousand visitors during this time. If you are lucky enough to get a spot in the Missouri botanical gardens lot then parking is free. There is also an overflow lot that is free at the metro center. If both lots are full, try to find free street parking. There are several areas that you can pay someone so you can park in the private lots, just make sure you have cash on hand if you plan to do this. We ended up finding street parking since we didn’t want to pay. The walk up to the event took about 15 minutes for us but it was easy and the roads all had crosswalks with marked street crossings. The botanical gardens has left nothing unthought of. You get authentic music, dance, activities, art, vendors, and food. Bonus, which made my son ecstatic, there were marked Pokémon stops along the way. He has recently become a Pokémon trainer. As we walked the park he was on the lookout for the Pokémon stops, which several were located at the different events. When you first enter the garden, you are able to walk around the fountains and visit different merchandise and art vendors. As you continue your walk towards the Japanese garden, there are several well marked events taking place. Make sure to stop and enjoy all the little activities being offered. Also, don’t forget that the garden has a children’s play area complete with slides, rope climbing, and a splash area. The play area is extra for non-members. First time to the garden and worried about the heat during this weekend event? Don’t be. Take a towel and/or change of clothes for your kiddos, as there are many splash zone areas for them to cool off. Most of these are in areas that don’t cost extra. The expanded foodcourt offers several options for food lovers to try the Japanese cuisine. Don’t worry if you have a picky eater, there were also options for kiddos like chicken strips and french fries. Take advantage of this area to try something you normally can’t or don’t find regularly. It has a glass marble in it! This festival is definitely worth a stop to experience the Japanese culture without a trip to Japan. Did you visit? Let me know what you liked or didn’t like about the event by contacting me below or share on the my mommyandmetravelsFacebook page. Hope to see you at the Japanese Festival! Looking for other fun things to do in St Louis? Check out these other post: Balloon Glow and Art Hill. This sounds very cool. I was raised in Missouri, and I never saw any cultural festivals. There should be more everywhere, so we can all get to know at least a little about people from different parts of the world. We love cultural festivals and I completely agree that there should be more available throughout the year. They are a great way to get kids to enjoy learning about other cultures.